Citing its global study Zebra Technologies Corporation said that 67 percent of logistics companies are likely to provide same-day delivery by 2023 and 55 percent anticipate delivery within a two-hour window by 2028. In an event in New Delhi, the US-based firm shared the details of its survey. The report indicates that 96 percent people expect to use crowdsourced delivery or a network of drivers that choose to complete a specific order by 2028. 92 percent of the respondents cited capital investment and operating costs of implementing an omnichannel operation as a key challenge. Only 42 percent of supply chain respondents reported operating at an omnichannel level today. In contrast, an estimated 73 percent of consumers shop across multiple channels. Seven in ten surveyed executives agree that more retailers will continue to turn stores into fulfilment centers that accommodate product returns. By 2023, 99 percent of retailers plan to implement buy online/pick up in store to allow a more seamless fulfilment process. In APAC, 93 percent of respondents agreed that accepting and managing product returns remain a challenge. Reverse logistics remain underdeveloped and significant opportunities for improvement remain. Today, 58% of retail respondents add a surcharge for returns, and 71% have no plans to change this in the future. Meanwhile, 71% of survey respondents agree that more retailers will turn stores into fulfilment centers that can accommodate product returns. Today, 55 percent of organizations are still using inefficient, manual pen-and-paper based processes to enable omnichannel logistics. By 2021, handheld mobile computers with barcode scanners will be used by 99 percent of respondents for omnichannel logistics. The upgrade from manual pen-and-paper spreadsheets to handheld computers with barcode scanners or tablets will improve omnichannel logistics by providing more real-time access to warehouse management systems. Radio-frequency identification (RFID) technology and inventory management platforms are expected to grow from 32 percent today to 95 percent in 2028. RFID-enabled software, hardware and tagging solutions, offer up-to-the-minute, item-level inventory lookup, heightening inventory accuracy and shopper satisfaction while reducing out of stocks, overstocks and replenishment errors. Future-oriented decision makers revealed that next generation supply chains will reflect connected, business-intelligence and automated solutions that will add newfound speed, precision and cost-effectiveness to transportation and labor. Surveyed executives expect the most disruptive technologies to be drones, driverless/autonomous vehicles, wearable and mobile technology, and robotics. 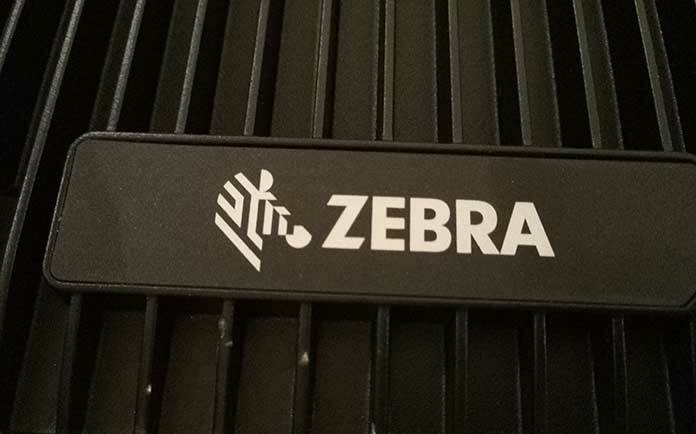 Corresponding to the developments in the fulfilment space, Zebra has introduced a new mobile printer and RFID solution that will help drive better efficiencies both on and off-premise. The new ZQ300 Series mobile printers empower workers in the field, in the warehouse or on the retail floor with on-demand printing capabilities. Meanwhile, the FX9600 fixed UHF RFID readers will enable enterprises to keep up with high volumes of cargo movements in the warehouse or dock doors. The ZQ300 Series mid-range mobile printer offers both receipt and label capabilities along with enhanced wireless connectivity, battery and power management options. Designed to meet customer needs, a stylish option is available for customer-facing retail applications while a more industrial option is ideal for T&L, manufacturing and government applications. The rugged ZQ300 Series printers are built to withstand any environment – from the front of retail store to the warehouse to out in the field. They are sealed from dust, dirt and liquid, meeting IP54 standards, and have been rigorously tested to withstand drops and tumbles. In addition, the ZQ300 family of printers offer the industry’s first Bluetooth Printer Management solution as part of Print DNA. This enables businesses to update, monitor and troubleshoot their Bluetooth-connected printers in real-time with an Android™ device and Mobile Device Management (MDM) solution. With high Radio Frequency (RF) sensitivity, the FX9600 fixed RFID readers can deliver high accuracy and long read ranges, even in high traffic environments or most challenging materials. Designed for the toughest environments, FX9600 can continue to work even in damp, dusty work areas, extreme heat, or even sub-zero temperatures. The FX9600 can host embedded applications, so data can be parsed directly on the reader at the network edge. 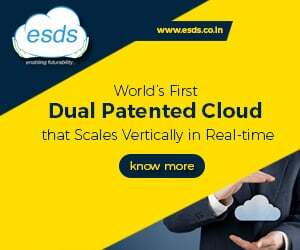 This significantly reduces the amount of data transmitted to backend servers, and increases network bandwidth and improves network performance. The integration of data into a wide variety of middleware applications is simplified, reducing deployment time and cost. FX9600 comes in the four-port model and the eight-port model. The latter enables the users to cover more dock doors and portals with fewer readers, lowering total cost of ownership (TCO). “Driven by the always-connected, tech-savvy shopper, retailers, manufacturers and logistics companies are collaborating and swapping roles in uncharted ways to meet shoppers’ omnichannel product fulfillment and delivery expectations. 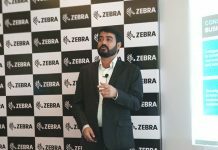 Zebra’s Future of Fulfillment Vision Study found that 95 percent of survey respondents in Asia-Pacific agreed that e-commerce is driving the need for faster delivery. 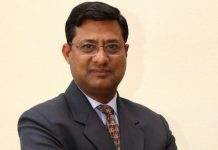 In response, companies in India are turning to digital technology and analytics to bring heightened automation, merchandise visibility and business intelligence to the supply chain to compete in the on-demand consumer economy,” said Deep Agarwal, Regional Sales Director – India, Zebra Technologies.